A landscape? A portrait? A still life? If you are interested in painting, but are unsure of what to paint, answer the questions in this quiz to decide! The quiz will ask a variety of questions pertaining to your interests, skill level, and what type of artist you are in order to give you a suggestion of what to paint! 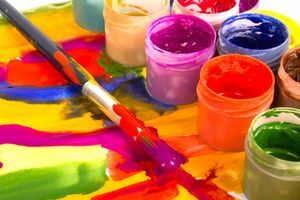 If you are would like to spend some time painting, but are unsure of what to paint take this quiz to decide and move forward by unleashing the artist within!